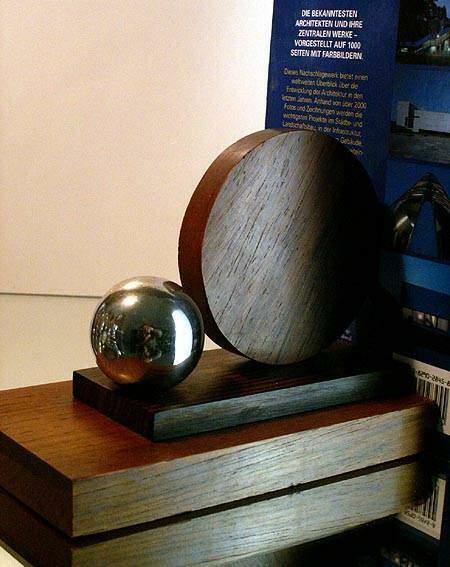 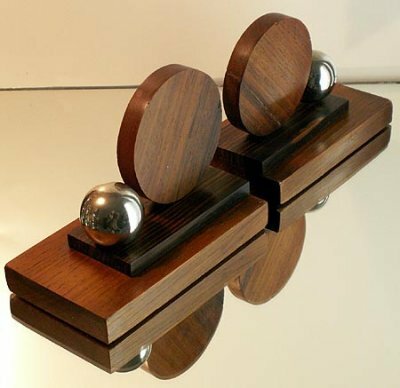 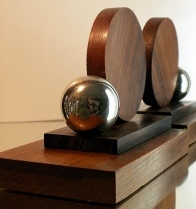 this is a pair of Art Deco / modernist bookends featuring a round wooden slice next to a chrome ball resting on a two level rectangular palissander pedestal. Provenance is unknowl but this bookend is a classical example of 1930 Art Deco / modesnist style. 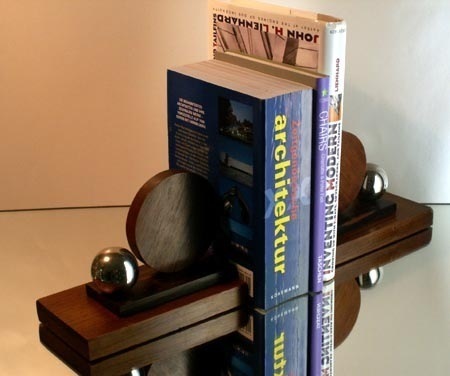 Each bookend is 6 1/2 in. 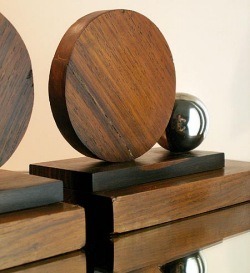 wide (cm. 16,5) and was bought from an German dealer through the Internet.